Open Network Switch Layer (OpenNSL) is a library of network switch APIs that is openly available for programming Broadcom network switch silicon based platforms. These open APIs enable development of networking application software based on Broadcom network switch architecture based platforms. The recent inclusion of the APIs needed to enable sFlow instrumentation in Broadcom hardware allows open source network operating systems such as OpenSwitch and Open Network Linux to implement the sFlow telemetry standard. In the talk Move Fast, Unbreak Things! at the recent DevOps Networking Forum, Petr Lapukhov described how Facebook has tackled the problem of detecting packet loss in Equal Cost Multi-Path (ECMP) networks. At Facebook's scale, there are many parallel paths and actively probing all the paths generates a lot of data. The active tests generate over 1Terabits/second of measurement data per Facebook data center and a Hadoop cluster with hundreds of compute nodes is required per data center to process the data. Processing active test data can detect that packets are being lost within approximately 20 seconds, but doesn't provide the precise location where packets are dropped. A custom multi-path traceroute tool (fbtracert) is used to follow up and narrow down the location of the packet loss. 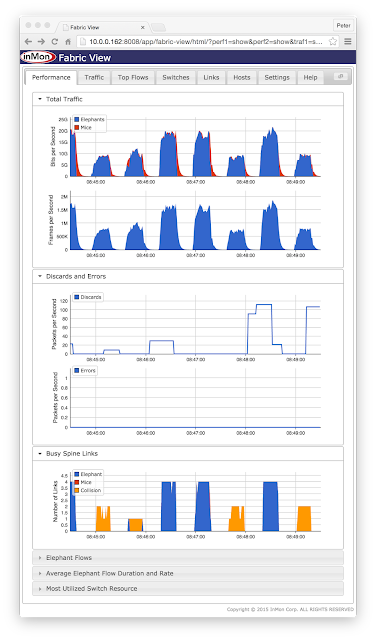 While described as measuring packet loss, the test system is really measuring path loss. For example, if there are 64 ECMP paths in a pod, then the loss of one path would result in a packet loss of approximately 1 in 64 packets in traffic flows that cross the ECMP group. Black hole detection describes an alternative approach. Industry standard sFlow instrumentation embedded within most vendor's switch hardware provides visibility into the paths that packets take across the network - see Packet paths. In some ways the sFlow telemetry is very similar to the traceroute tests, each measurement identifies the specific location a packet was seen. 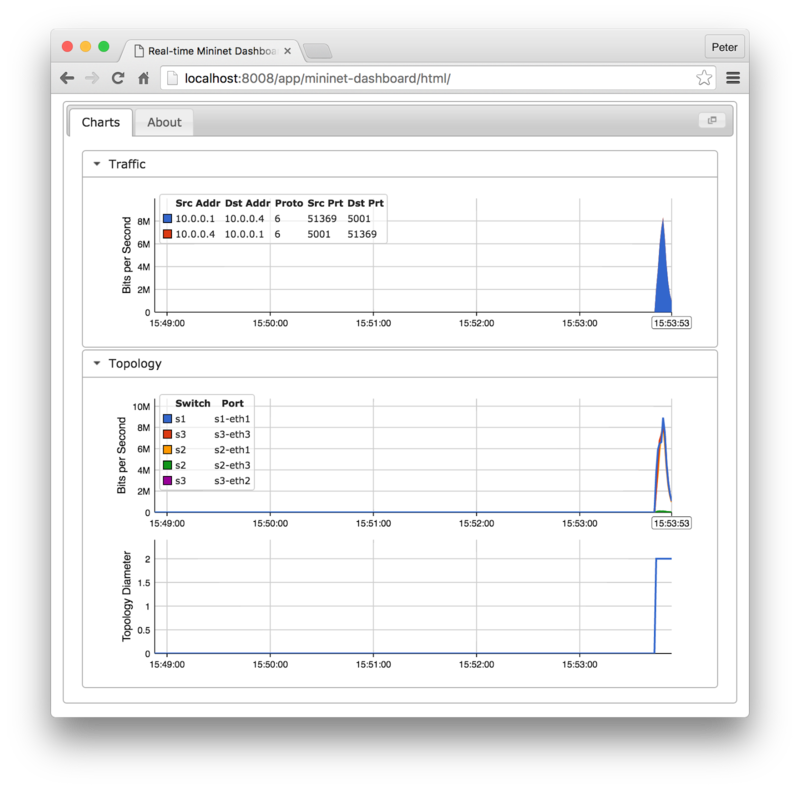 Eliminates active test traffic since production traffic exercises network paths. Eliminates traffic generators and test targets required to perform the active tests. Simplifies analysis since sFlow measurements provides a direct indication of anomaly location. Reduced operation complexity and associated costs. 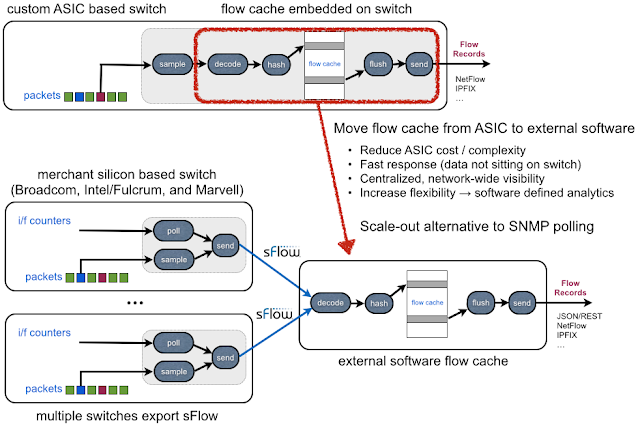 RESTflow explains how the sFlow architecture shifts the flow cache from devices to external software and describes how the sFlow-RT REST API can be used to program and query flow caches. Exporting events using syslog describes how flow records can be exported using the syslog protocol to Security Information and Event Management (SIEM) tools such as Logstash and and Splunk. 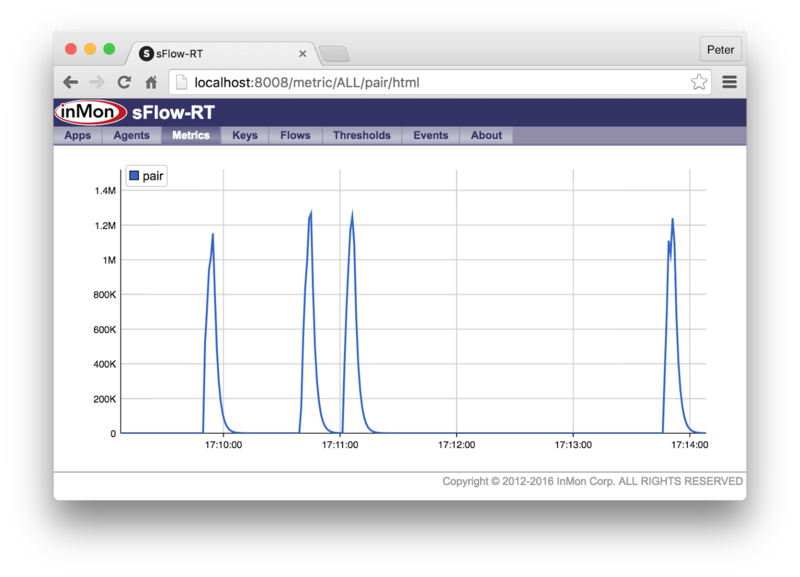 This article demonstrates how sFlow-RT can be used to define and export the flows using the IP Flow Information eXport (IPFIX) protocol (the IETF standard based on NetFlow version 9). 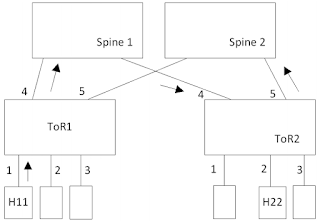 The output demonstrates how the flow cache definition is exported as an IPFIX Template and the individual flow records are exported as one or more Flow entries within a DataRecord. What might not be apparent is that the single configuration command to sFlow-RT enabled network wide monitoring of TCP connections, even in a network containing hundreds of physical switches, thousands of virtual switches, different switch models, multiple vendors etc. In contrast, if devices maintain their own flow caches then each switch needs to be re-configured whenever monitoring requirements change - typically a time consuming and complex manual process, see Software defined analytics. While IPFIX provides a useful method of exporting IP flow records to legacy monitoring solutions, logging flow records is only a small subset of the applications for sFlow analytics. 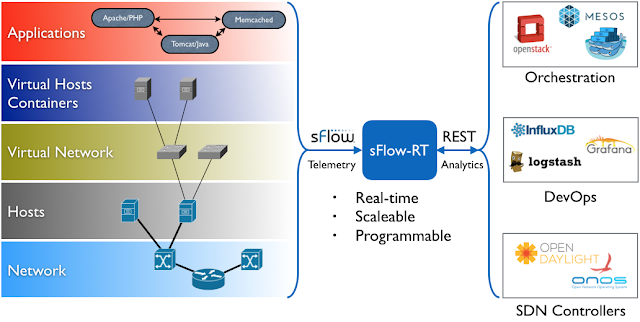 The real-time networking, server, and application analytics provided by sFlow-RT delivers actionable data through APIs and can easily be integrated with a wide variety of on-site and cloud, orchestration, DevOps and Software Defined Networking (SDN) tools. Linux bridge, macvlan, ipvlan, adapters discusses how industry standard sFlow technology, widely supported by data center switch vendors, has been extended to provide network visibility into the Linux data plane. 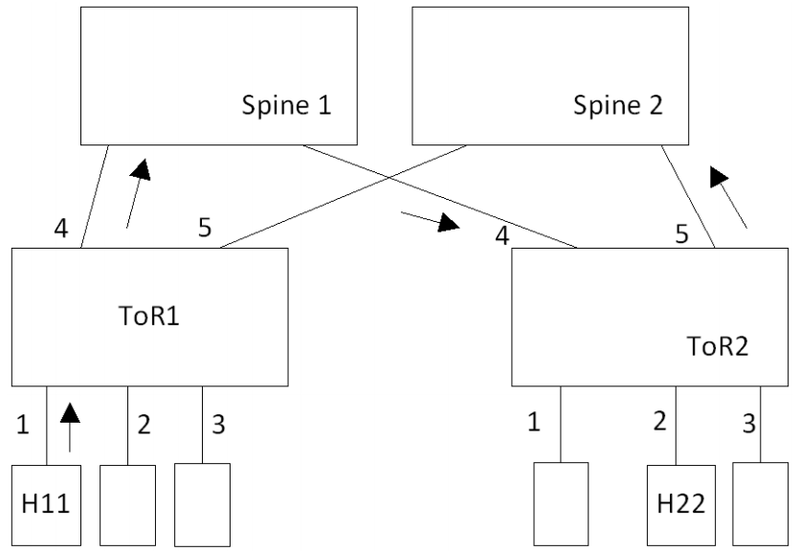 This article explores how sFlow's lightweight packet sampling mechanism has been implemented on Linux network adapters. Linux Socket Filtering aka Berkeley Packet Filter (BPF) describes the recently added prandom_u32() function that allows packets to be randomly sampled in the Linux kernel for efficient monitoring of production traffic. Background: Enhancing Network Intrusion Detection With Integrated Sampling and Filtering, Jose M. Gonzalez and Vern Paxson, International Computer Science Institute Berkeley, discusses the motivation for adding random sampling BPF and the email thread [PATCH] filter: added BPF random opcode describes the Linux implementation and includes an interesting discussion of the motivation for the patch. A JIT for packet filters discusses the Linux Just In Time (JIT) compiler for BFP programs, delivering native machine code performance for compiled filters. Minimizing cost of visibility describes why low overhead monitoring is an essential component for increasing efficiency in cloud infrastructure. The combination of BPF packet sampling with standard sFlow export provides a low overhead method of delivering real-time network visibility into large scale cloud infrastructure.